The Cape Verde islands can be a true riot of vibrant colour and a chance to experience some live music or a local festival isn't one to be passed up. These can be anything from a religious celebration to a musical event. Below are details of a few popular festivals that take place on the islands. 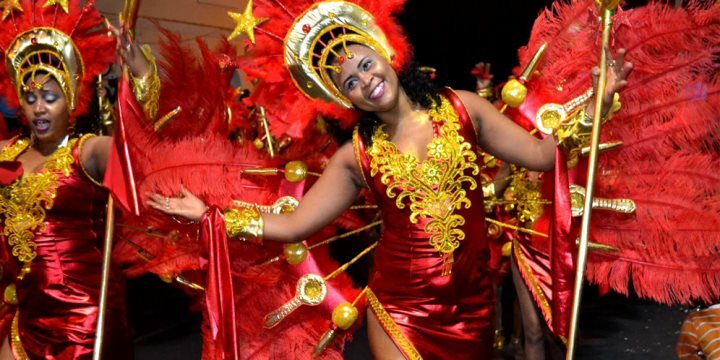 The most popular feast of São Vicente is the Carnival which is inspired by the carnivals of Brazil and mixed with their shared history of Portuguese flavours. 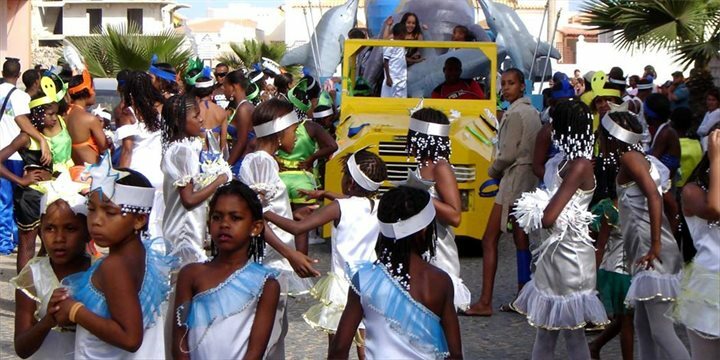 The street parades are very much appreciated by the Cape Verdeans and tourists alike. The largest of the celebrations can be found in the town of Mindelo and can begin as early as 9am! The carnival is held on Shrove Tuesday. The 2019 date is Tuesday 5th March, and preparations and mini celebrations take place during the week before this date. 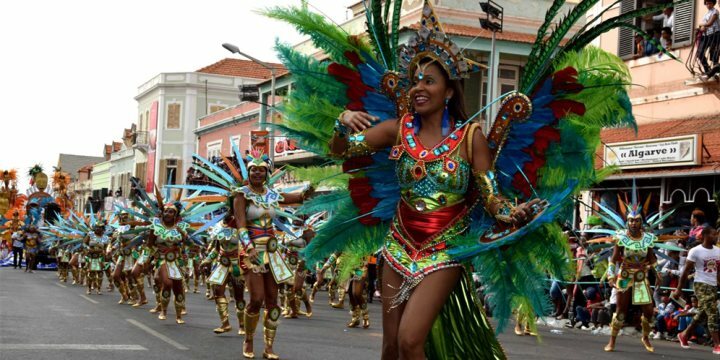 Find out more about this vibrant Carnival on our blog. The Baia das Gatas Music Festival occurs each year over the August full moon. Usually a long weekend. Full of artists and bands, this festival is a real party. The day of Santa Isabel, the patron saint of the island. Celebrated with processions, swimming, horse racing, tours and a public ball. Mass, processions, swimming contests and music festival on beach with local musicians. This is a yearly music festival with various live acts and food & drink stalls for all to enjoy in the resort area of Santa Maria. Held in the bay of San Fransisco and arguably the biggest music festival in Cape Verde. Musicians from other countries come to Santiago to participate. 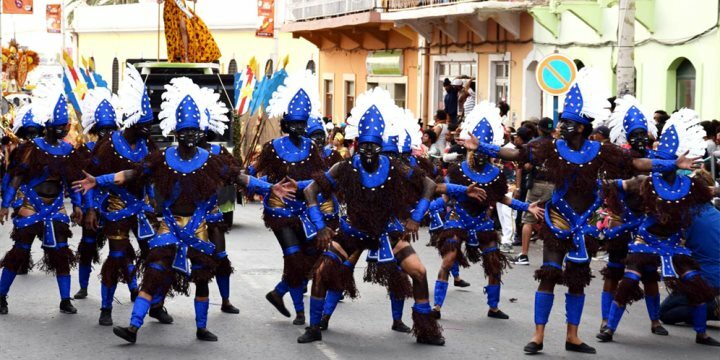 A celebration of the liberation of slaves which takes place in Assomada. Music in Cape Verde is woven into the very fabric of life and it informs and is informed by the often brutal history and culture of the islands; and although it is a ubiquitous presence it never feels stagey or performance based, rather it is part of the very essence of island life. The morna is believed to have its genesis on the island of Boa Vista and it's thought the name derives from the English word mourn or the French morne, meaning sadness; and in its traditional form it is certainly informed by a certain sense of tragedy and melancholy (what the Cape Verdeans call sodade or the longing for home), and one theory has it that it grew out of traditional songs sung by the imported slave population. It is generally performed with an ensemble of stringed instruments including violins, guitar-like violas and cavaquinhos, a primitive ukulele-like instrument; and whatever the origins, it is a tremendously affecting form and one that is unique to the islands. The batuko as a spectacle is quite incredible. Its origins are African and it's a form of dancing that is based around complex interlocking drum patterns and generally performed within a circle of female drummers with each dancer gyrating her hips wildly until the drum patterns reach a climax at which point she is replaced by the next dancer. There is almost a purgative force about the movement of the dancers with the rhythms inducing a trance-like state, and it can be quite overwhelming; not to mention that some of the dancing is so charged with emotion and rythmn, you may end up having to join in! The Funana is also an African sounding song form - and a defiantly anti-colonial one whose home is the island of Santiago. It is based generally around the sound of the accordion and is characterised by surging rhythms and repetitive call-and-response vocal patterns. It's the kind of thing that nags at you, and eventually you get hooked to it and find yourself swaying and waggling your hips with the best of them. You'll hear it all over the islands, belting out of car windows, on the radio and in the clubs and bars in the towns.